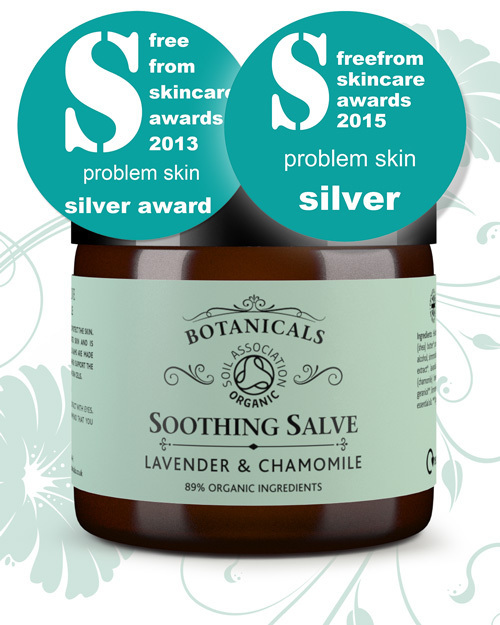 Today I am bringing you a long awaited review of an award winning product that I have tested out for a few months after being kindly sent a sample from Botancials, it is of their Soothing Salve*. I have reviewed Botanicals before and had a really good experience so was super excited to give this a go, you can check out my previous review of their Balancing Mask in Green Clay & Avocado here! So a little bit about this product, it's a nourishing natural salve to soothe, soften and protect the skin. It soothes conditions like eczema and chapped skin and also works as a great after-sun product to restore moisture to your skin. The balm is made completely from active plant derived ingredients and these helps support the skin's natural ability to heal and regenerate new skin cells. Sounds pretty good right? So, to use it you only need the smallest amount meaning a little goes a long way. Take a pea sized amount and massage in until it's absorbed, the texture is nice and rich without any greasy residue so absorbs in nice and quickly giving an immediate soothing and moisturising effect. My elbows are particularly problematic when it comes to dry and irritated skin and I can say after a couple of weeks of using the salve it really helped to clear up the dry patches and they look visibly better. I've also used it to replace out my usual hand cream and it's kept my hands lovely and soft with a really nice scent as well. With summer coming up I'll be keeping a tub in the fridge to apply to any sunburn or just heat irritated skin as it would be absolutely perfect for that. I would recommend this salve to anyone, but particularly to those suffering from sensitive, dry or irritated skin as I think it would be the most effective and work the best. You can check out the Botanicals full range on http://www.botanicals.co.uk/ as they have a whole plethora of different products to try out and read up on. I hope you liked this post, let me know your thoughts on Botanicals products in the comments below.